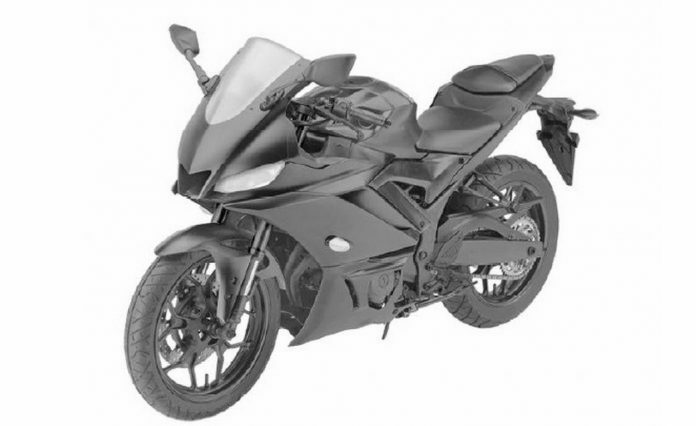 2019 Yamaha R3 India launch expected next year… Shares design with R6 and looks real aggressive now! 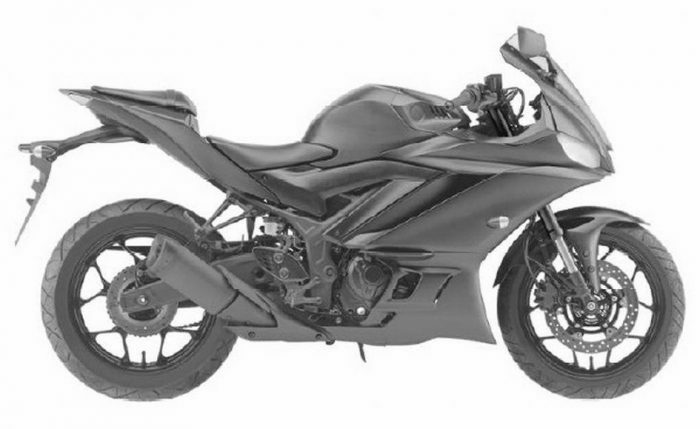 The 2018 Yamaha R25/R3 turned out to be a minor update – one which carried over the same looks of its predecessor. However, the Japs have started testing the 2019 version of the quarter liter which will get a design makeover and it will be based on the newer design philosophy of the ‘R’ series. 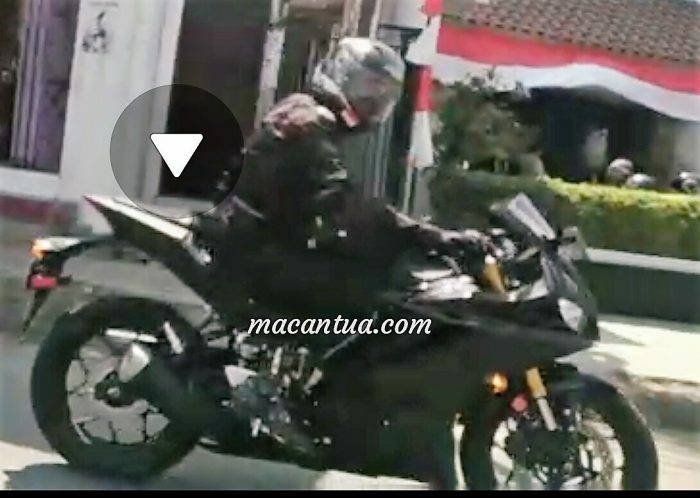 Earlier in August Macantua.com shared the spyshots of the 2019 Yamaha R25 from Indonesia and it was the first time the front of the motorcycle was revealed. However, everything was unclear. We now have the complete motorcycle revealed in Design filings by Yamaha in Australia and Turkey according to Motorcycle.com. Keeping the family ‘R’ design theme, the R3 gets a split headlamp design with a hole in between, just like the R15 v3. This can just be a dummy design element (like it is on the R15) or it could be a RAM air intake. The headlamps are slightly less angular than the R15. There is a lot of similarity in the overall front design with the terrific R6! 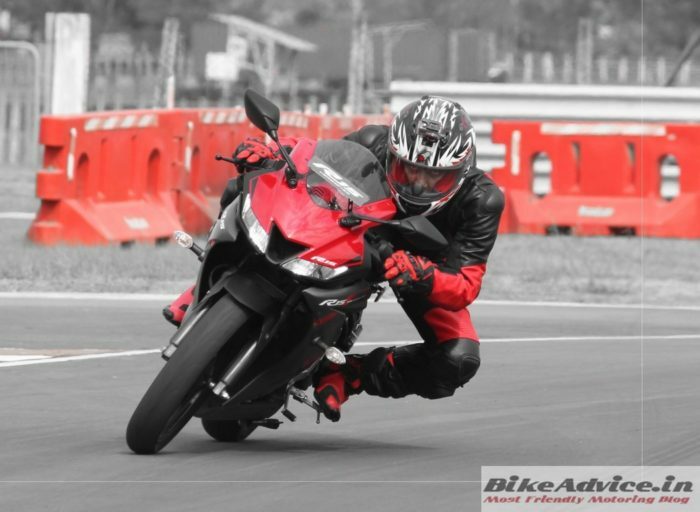 The big change is the introduction of upside down forks but the rear design, exhaust canister and alloy wheels appear to be very similar to the current version on sale. 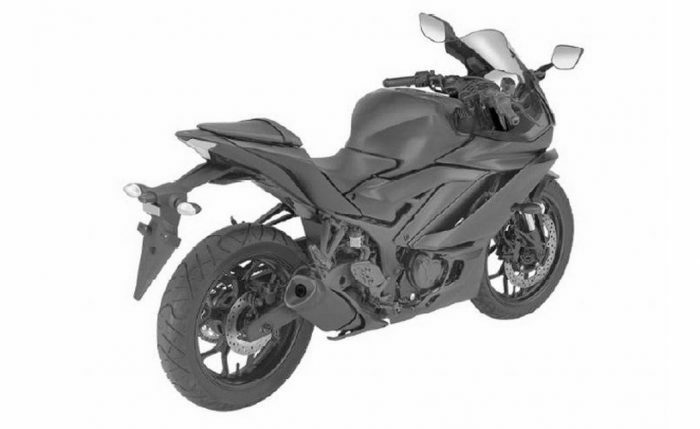 It also gets amply clear that Yamaha intends to continue promoting R25/R3 as a sports tourer as the upcoming model is seen with a high-set handlebar and relaxed seating posture (as seen in spy pics). The same 321cc engine will continue to propel the motorcycle (250 for the R25) but it will be interesting to see what tweaks will it get! Yamaha is expected to unveil the 2019 R3/R25 in the coming weeks – either at Intermot or EICMA. They treat both the R25 and R3 as similar motorcycles and hence all the design changes going to the new R25 will also be adorned by the R3. And since the motorcycle is already on the roads testing expect its Indonesian introduction later this year. However, India has received the refreshed R3 earlier this year, so the new R3 launch in India can only be expected sometime next year. Renewed attack by Kawasaki through its localised 2018 Ninja 300 in India will definitely have Yamaha’s top honchos thinking!